Inside cover features adjustable brackets for holding an iPad as well as most tablets and e-readers. Material UltraHyde. Business card pocket. Ribbon page marker for JournalBook. Includes 90 sheet bound JournalBook refill. 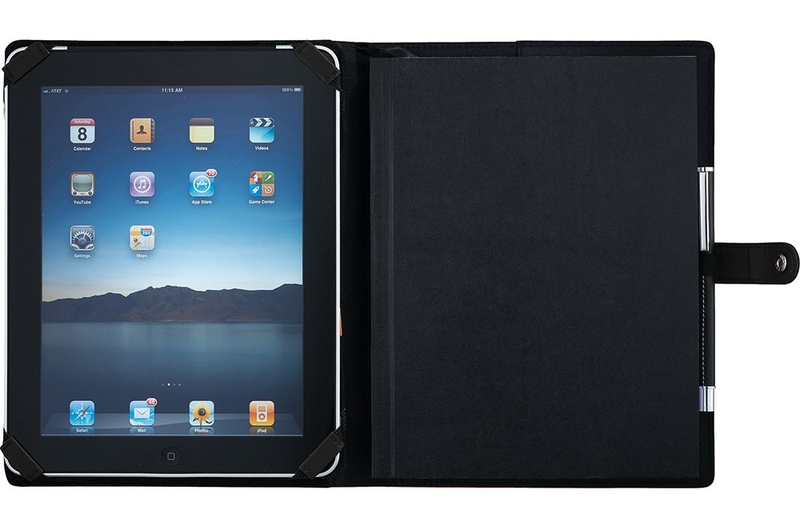 This case fits iPad 1-2-3-4 and iPad Mini. Also available in a smaller size. One colour print pricing.